Machu Picchu remained hidden from the entire world up until it was discovered in 1911 by a Yale professor. Despite the incredible weight of the stones used to build Machu Picchu, it is largely believed no contraptions with wheels were used to transport them into the mountains but that Inca men pushed the stones. The Incas represented the most talented masons known to man. Their sites were so solidly built not even a knife could slip in between the stones. The stones were fastened by a method called ashlar, where the stones are so precisely cut they sit atop of one another without any use of mortar. Another indication of their great ability to work with stone, the Incas implemented more than 100 flights of stairs within the entire mountain region, most which were carved from just one solid chunk of stone. Only 2500 visitors are permitted at Machu Picchu each year to preserve the world wonder, which has already been extensively restored. The trail is one of the most famous in the world and rated as one of the best. It spans only 26 miles, combining dense cloud forest, lush mountain scenery, subtropical forest, and plenty of Inca tunnels, paving stones, and ruins. The four-day hike is the classic Inca Trail trek beginning at Kilometer 82 by the rail line stretching from Cuzco to Aguas Calientes. It begins slowly but quickly morphs into a difficult trek suitable for those in moderate to excellent shape. The trail winds through the Andes, leading alongside and through ruins like Sayacmarca, Wiñay Wayna, and Phuyupatamarca. Though independent trekking was once permitted, present day Inca Trail hikes must be done with an approved guide. Altitude sickness is predominant in hikers making a period of acclimation a must. 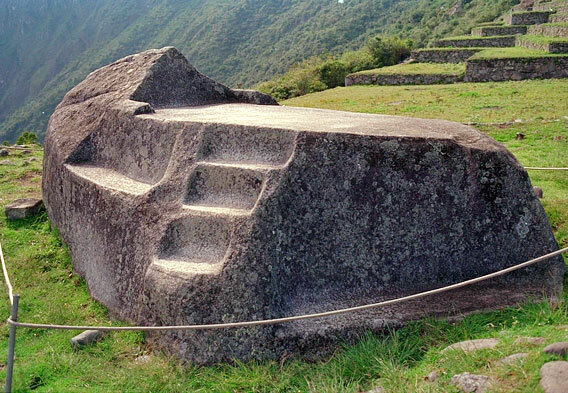 It is believed that the Funerary Rock at Machu Picchu was utilized as a placed to prepare Inca nobles for preservation, or mummifying, a common ritual among the tribe. Nobles would be laid out after to be mummified by the hot sun and freezing cold nights after their organs were removed. The large, carved rock appears to have been created from one massive stone slab. The rock is also notable as a spot from which an all-encompassing view of the city is afforded. 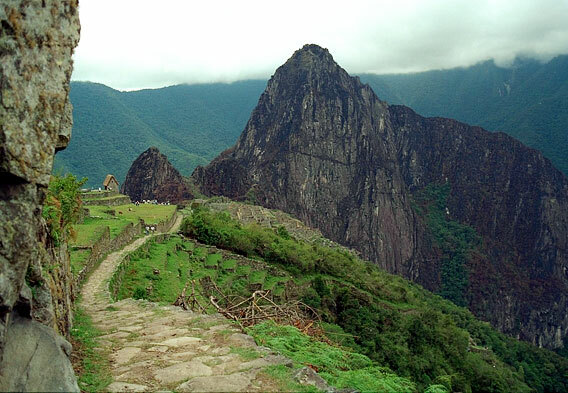 Also in view is the beginning of the Inca Trail as well as the road connecting Machu Picchu to Cuzco (the ancient capital of the Inca people and another popular destination in Peru). The Funerary Rock hut is adjacent. Within the city’s citadel, deep within Machu Picchu, is the Temple of the Sun, accessed only by the Emperor and Inca priests. It symbolizes the Inca’s advanced knowledge of religion, cosmos, weather, and nature, indicating the great extent Incas went to adapt to and learn about nature. Religious ceremonies and rituals for the common Inca were performed in the central square. 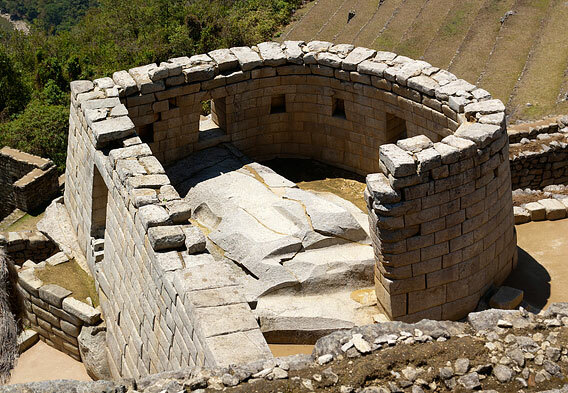 Still intact, the temple was built to honor the god Inti, who is literally the sun and a god of the Inca people. The temple was formidably protected, and said to be the site of the Sun Ritual, an ultra-secret rite. It was also a vital scientific center, built in half-moon shape with trapezoidal openings facing north and east. The projection of the windows’ shadows in the center of the temple helped identify the onset of winter solstice, indicating farming season. A stone altar used for sacrificial ceremonies lays in the center. The Great Priest would “read” the animal’s intestines and gather advice for the Inca government from the reading.